This is the guest blogging weekly roundup where we bring you the best news and articles about guest blogging for the week. 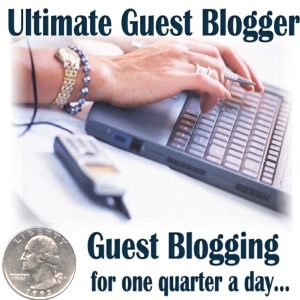 In today’s post, you will find many engaging guest blogging tips. We will take a look at the latest guest blogging keys to success, how guest blogging should be part of your social media strategy, and why guest blogging should be an integral part of your SEO strategy. 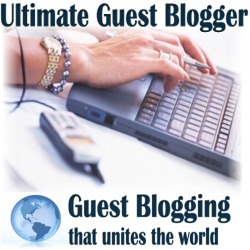 Before getting to our guest post links for the week, we would like to take a moment to mention some new websites and blogs that have joined our ever-growing list of website owners who use Ultimate Guest Blogger as their premier guest blogging platform. If you are the owner of a website or blog, and want to easily accept guest posts on your site to bring constant, fresh content to your site, read more about how to accept guest posts on your blog through Ultimate Guest Blogger. You can be up and running in under 5 minutes! BlackBerry Empire: BlackBerry Empire is, as you may have guessed, all about the Smartphone industry and, in particular, the BlackBerry. If you write about cellular technology and smartphones, be sure to submit a quality guest blog to http://www.blackberryempire.com/. Live Your Way: The blog Live Your Way is an “Online Publication of Independent Thinkers”. This site boasts many topics, including technology, business, society, and much more. From silly, fun content like What To Do On the Internet When You’re Bored to robust political commentary like Income Equality and Standard of Living, this site has a place for your guest blog and brings visitors. To submit a quality guest post, visit http://www.thisishowyoudoit.com/blog/ now. Using Ultimate Guest Blogger as your guest posting platform is absolutely free of charge and brings more eyeballs to your website. Visit our homepage now and signup for free! Now, let’s take a look at all of the best posts from around the net regarding guest blogging. Guest Blogging Unleashed: In this well-constructed post, we get 7 tips from Annabel Candy, who dramatically increased her website visitors through Guest Blogging. Four Steps to Successful Guest Blogging: This page presents a terrific infographic on the four steps to be a successful guest blogger. Guidelines For Guest Blog Posting: This is a great article that shares the true secrets of an authentic guest post. Too often, people try to submit guest posts which contain too much promotion and too little content. If you follow these guest post guidelines, you’ll be sure to consistently submit winning guest posts. How to Sync Your Social Media Recruits: This post addresses the chasm between social media and guest posting in the business realm. While these two disciplines should overlap, they often do not. If you are in the Internet Marketing business, you will want to read this post to realize more synergies in your marketing strategies. Guest Blogging – How and Why it Works For SEO: In this post by Onit Solutions, we read why guest blogging should be an en eessential part of your SEO strategy and how to do it effectively. Take note of their line: “A guest blog is not a platform for shameless sales promotion, and it is not free advertising space.” This is perhaps the biggest mistake people make and why their guest posts are often rejected. Well, folks, this concludes our weekly guest blogging roundup on this Friday. If you would like to submit your post for consideration in our weekly update, simply let us know about via our contact form.